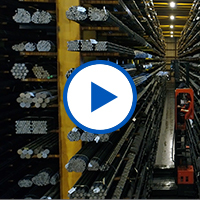 Eaton Steel Bar Company (ESBC) has grown from a small, single warehouse to over 800,000 square feet of indoor storage and manufacturing in 64 years. Our metals product lines, for the first 45 years, were our Hercules Cold Drawn Bar business and our Eaton Steel Hot Rolled mill depot business. As a hot roll mill depot, we purchase steel mill quantities and inventory for our customer JIT and program needs. Every day customers call us with a need for hot rolled or cold drawn steel bars they did not have the previous day. As we have grown, the leadership of ESBC, determined we not only needed our large inventory but also needed to provide logistics support, Atlas Trucking & Logistics, metallurgical testing and analysis support, Titan Metallurgy, and quench and tempered long bars, Apollo Heat Treat. While you may have noticed our support companies are named after mythical Greek gods, there is nothing mythical about the services they provide. You’ll also find out a lot about the Eaton Steel culture by reading about the world-class, in-house, staffed, employee exercise facility, the Goodman Family Wellness Center. Hercules Drawn Steel Corporation is one of the largest cold-finish bar mill in North America. 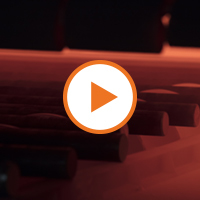 With over 25,000 tons in stock, we process cold-drawn steel bar products that are machined into precision parts across a broad range of industrial and consumer categories. With an annual capacity of 150,000 tons, Hercules produces rounds from ¼” to 10-1/16”, hexagons from ¼” to 4”, and squares from ½” to 3-3/16”. Our large bar line can produce bars that are mag tested and bar marked on four sides of shapes, in line. We also have the machines to face and chamfer or saw cut the ends of these bars. We also have additional state-of-the-art mag testing and roto bar testing equipment for unique surface testing and quality verification. The ownership of Eaton Steel Bar Company (ESBC) saw the challenges coming to the transportation industry 10 years ago and launched Atlas Trucking and Atlas Logistics. Their purpose was to ensure you receive your material per your requirements and on your schedule. While our team welcomes your company-owned truck or a 3PL company of your choice, most of our customers take advantage of the Eaton Steel family connection to Atlas. If you prefer to use Atlas Trucking or Atlas Logistics to manage your freight directly, submit your requirements (here link to Atlas RFQ) call us at (313)291-0390. If you would like the ESBC team to manage your freight for you, please contact a sales representative at (800)527-3851 toll free, (248)398-3434 local. All freight quoted based on the volume and destination. A metal test is only as good as the sample it is performed on, and at Titan we prepare our samples efficiently and consistently with computer-controlled machining equipment. Our investment in sample preparation also helps us turn around tests, even from large diameter bar stock, in 24 to 48 hours from the delivery of the sample. Titan Metallurgy specializes in steel sample testing and offers tests and analyses in these broad categories. Click on the links for more information about each service. Eaton Steel Bar Company (ESBC) has been supplying Quench & Tempered (Q&T) bars for years and has supplied well over 100,000 tons to the market place. In 2013, continuing to expand our Supply Chain offerings, we added Apollo Heat Treat. (AHT) AHT is an in-line, gas fired Q&T line supplying Q&T bars from 1” to 12” in diameter from 12’ to 24’ long. AHT’s ring quench water chamber is capable of quenching bars to commercial straightness tolerances without the need for mechanical straightening after the tempering process. This state-or-the-art facility not only produces the Q&T products sold by ESBC but also provides toll processing for material you already own. Common grades quench and tempered by Apollo are 10XX, 41XX, 43XX and 93XX to commercially and customer mechanical properties. Please contact our supply chain experts at sales@eatonsteel.com for a quote on your finished bar or toll processing needs. 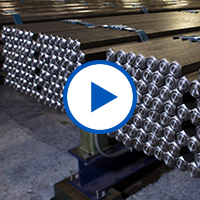 Eaton Steel Bar Company delivers cold-drawn or hot-rolled steel bars that have been pre-cut and chamfered, ready for forging or machining. By providing you the cut blank or the quench and tempered bar you don’t have to worry about waste. The yield loss is already figured into the price you are quoted from Eaton Steel. These processes are provided for material we stock or we will toll process your bars for you. Click on one of the following links to find information about the process you need. If you don’t know which operation you need contact one of our supply chain specialists to help you. We don’t take the term “family” lightly at Eaton Steel. The Goodman family saw the need for metallurgical services, trucking and logistics services and quench and tempering heat treatment. All of those businesses generate income just as every other business sets out to do. However, the ownership also puts their money where their mouth is when it comes to employees being treated like family. As with any family, the health and wellbeing of each member is the concern of all, and the Eaton Steel family is no exception. All members of the Eaton Steel Bar Company family have the opportunity to use our state-of-the-art fitness facilities and access our onsite personal trainers. Individualized plans are developed for all wishing to participate. Employee connection - Our fitness consultants review our employee’s health history, personal lifestyle and goals to help plan their wellness program. We provide a complete tour of the facility and walk each employee who participates through their customized workout, step-by-step, to ensure their safety and success. Lunch-n-learn: Eaton treats employees to lunch and an opportunity to learn the latest, timeliest health-oriented topics concerning nutrition, exercise, and lifestyle enhancement. Blood pressure and body weight stations: One of our fitness consultants helps our employees monitor their blood pressure and weight to ensure they are staying on target with their health care needs and goals. Monthly E-tips: health news, tips, and trends are sent electronically from the Wellness Center to all Eaton employees.